Learn about where to find your custom review link and how to share it through different platforms. 1. 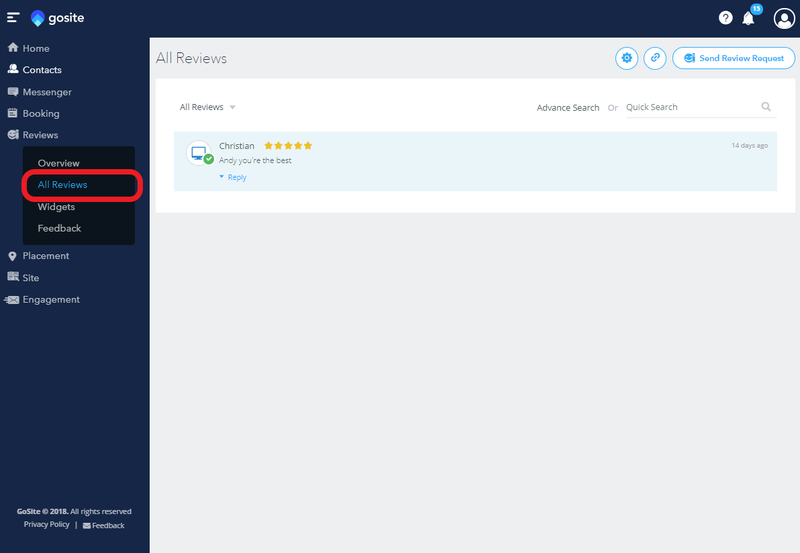 To access your link, first navigate to the “Reviews” section of the dashboard. Then click on “All Reviews” under Reviews. 2. Once on this page, click on the small paper clip icon to the top right of the page. It is directly to the left of the “Send Review Request” button. 3. You will be brought to a pop-up screen that will generate a message and a link. To copy the link URL so that you may easily share it click on “Click Here” on the bottom of the pop-up screen. 4. Once you have copied your shareable link URL you can paste it into any social media post to share it with your followers! 1. First, navigate to the “Reviews” section of the dashboard. Then click on “All Reviews” under Reviews. 3. You will be brought to a pop-up screen that will generate a message and a link. From here you can enter your contact’s phone number and edit the text message. Once you are satisfied with your message, click “Send SMS” and your text message will be outbound. 3. You will be brought to a pop-up screen that will generate a message and a link. 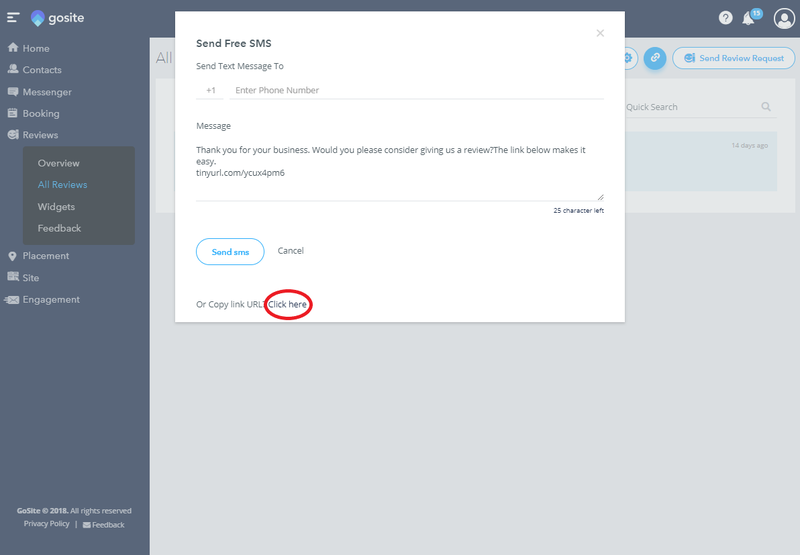 To copy the link URL so that you may easily paste it into an email, click on “Click Here” on the bottom of the pop-up screen. 4. Now we will show you how to paste this link into your email signature. 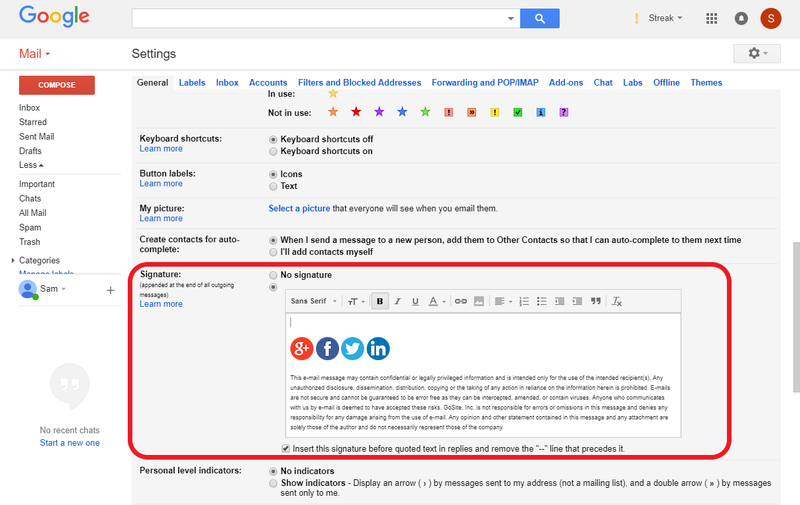 We will use Gmail as an example but all email platforms have the email signature feature. First you will need to go to your email settings. 5. Scroll down to where it says “Signature” in your email settings. 6. Once here, you can paste your review link into your email signature. This will make the link show up at the bottom of every email that you send!